Lake O' the Pines is an outstanding largemouth fishery. 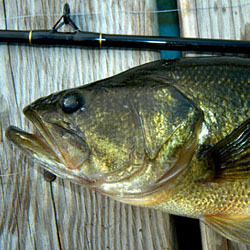 A combination of dark-colored water and an average depth of 13' keep fish close to the surface. 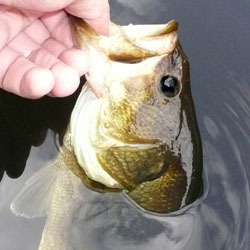 Spotted bass also do extremely well in Lake O' the Pines, and according to some local guides, four out of every 10 black bass caught are ''spots''. Other angling opportunities include black crappie, channel catfish, redear sunfish, bluegill and other types of catfish. Each detailed map provides depth, contours, structure, boat ramps, and updated fishing information. Lake O' the Pines fishing maps also include lake info such as gamefish abundance, forage base, water clarity, weedline depth, bottom composition, complete latitude/longitude grid lines and dozens of GPS waypoints & coordinates.